Country Called America(VIEW) Review｜MANGA.CLUB｜Read Free Official Manga Online! I'll be honest, I can't tell if this manga is intended as a referendum against socialism or against capitalism, or both, or neither. 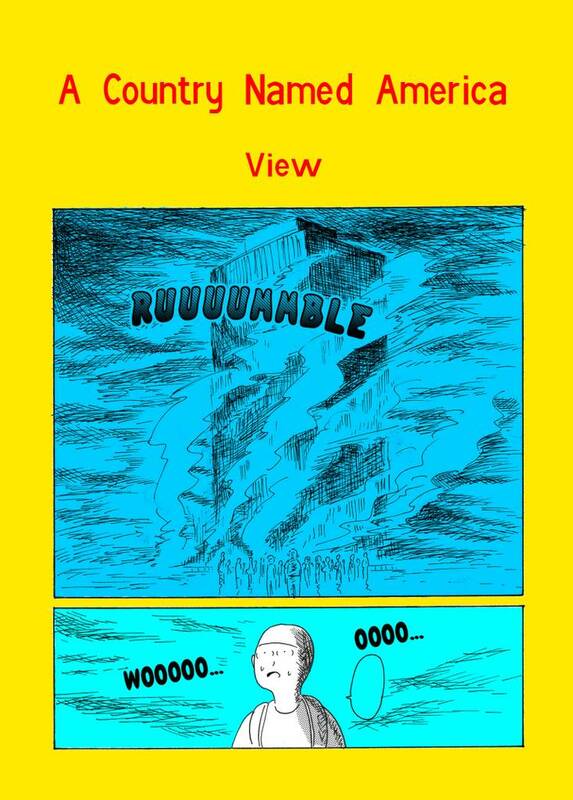 A satirical manga that pokes fun at our modern age. Simply drawn and a nice quick read. What is interesting about VIEW is that this author deals with some really deep themes. Whereas A LONG STAY deals with emotional boundaries and the fear of the unknown, A Country Called America deals with a futuristic view of America. One of the lines that really got me thinking was that, in the manga, America seems to be only concerned with "truth." Who gets to define truth, though? What is truth for one country can be completely different for another. If you're into deep themes, give this one and VIEWs other manga a read.